New Orleans 1839 Mansion located on Magazine St. Garden District. 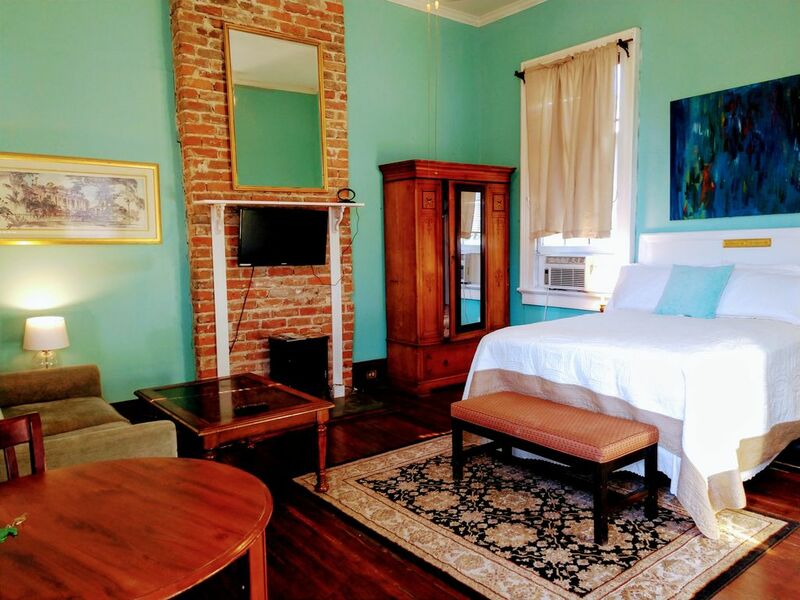 license STR Beautiful Private room in the Garden District located in the Garden District. Large Private Bathroom/Furnished with Queen bed. Work desk. Tv/Wifi. Private entrance with off street parking. To give the traveler a true New Orleans experience. The traveler will experience the local flavor and also support the locals of New Orleans.. Located on Magazine St. 48 Restaurants 25 Bars Endless amounts of Shopping! Locally Owned. Full Bathroom- Large shower for two. The room was clean, and comfortable. It is located in a quiet area near restaurants and shops with easy access to the French Quarter. Alex is a very friendly and helpful host. He was very accommodating when we had to arrive after midnight because of flight delays and changes. He also went out of his way to mail a bracelet that my wife forgot. I would definitely stay there again when I return to New Orleans. Great place! Perfect for a shorter stay in the city. Everything you need close by. Alex was the perfect host. The room had everything we needed. The location is fantastic for walking to shops and restaurants on Magazine Street. Off-street parking is also a major bonus in this neighborhood. The host was extremely accommodating, helpful, and hospitable start to finish. Very responsive and friendly. This is a great way to have a true New Orleans experience! Great area & very comfty digs. We had everything we needed & Akex was kind & helpful. We enjoyed our 2-night stay at this property on Magazine Street, just a few blocks from all the shops and restaurants. The unit had it's own private entrance and was exactly as pictured in the listing photos. Alex was a great host and answered all of my questions, and even allowed us to check out a few minutes late so we could squeeze in one last tour that morning. Thanks for a great stay! Would definitely stay again if we're ever back in New Orleans.